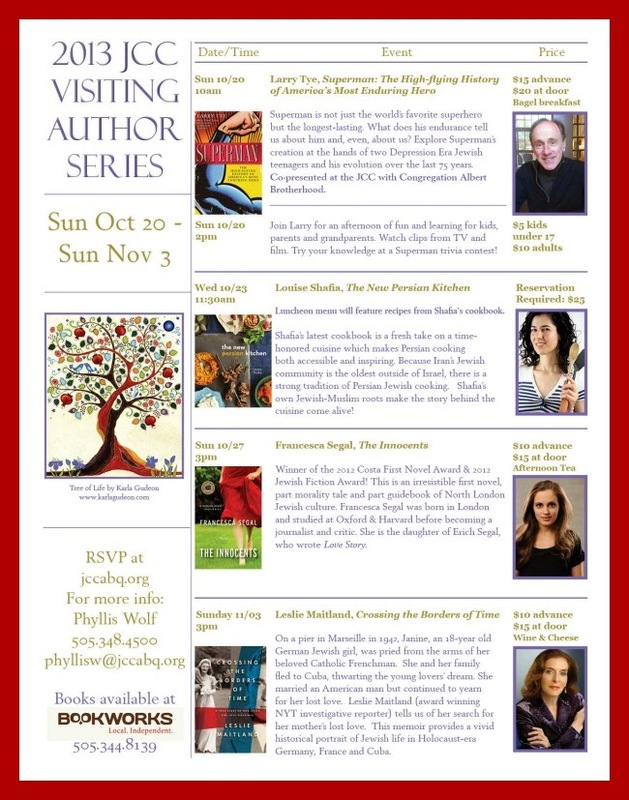 The New Persian Kitchen: The Jewish Community Center of Greater Albuquerque is proud to present our New Mexico Jewish community’s annual celebration of the written word. Luncheon $25 advance; registration required. 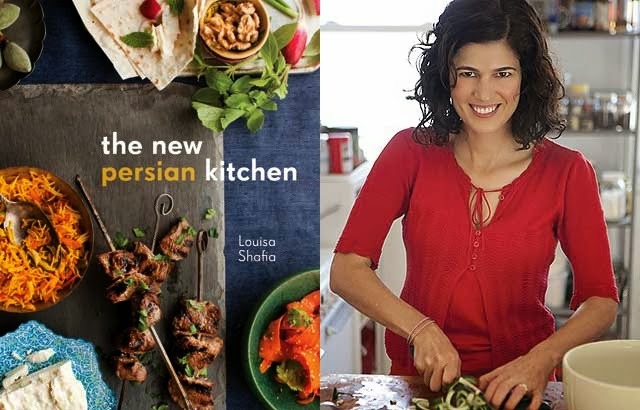 Louisa Shafia’s latest cookbook is a fresh, luscious take on a time-honored cuisine, which makes the exotic and beautiful tradition of Persian cooking both accessible and inspiring. Because Iran’s Jewish community is the oldest outside of Israel, over 2500 years old, there is a strong tradition of Persian Jewish cooking. Shafia’s own Muslim-Jewish roots make the story behind the cuisine come vibrantly alive. You can read what the Asia Society wrote about Louisa Shafia here. And here is a forshbite (that’s Yiddish for hors d’oeuvres, one of the most-looked-up words on the Internet) of what’s in store for Albuquerque.